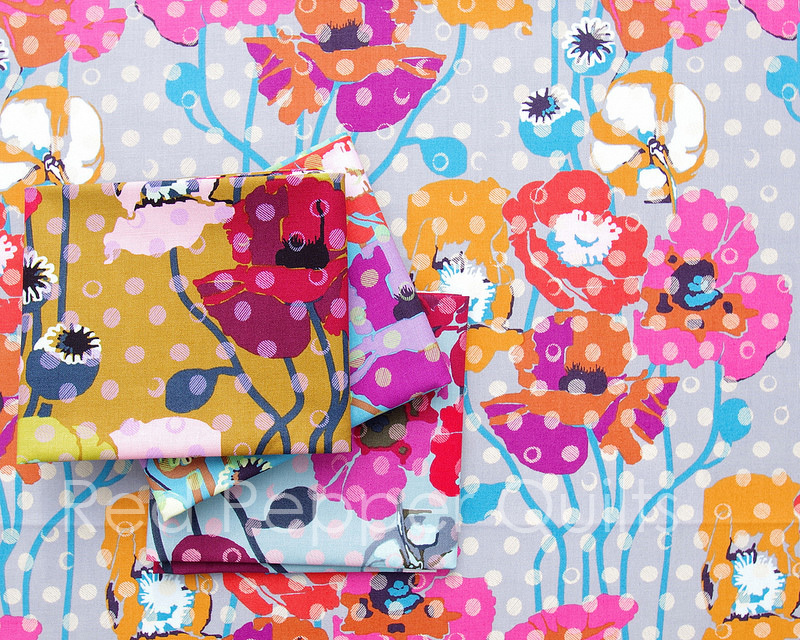 Floral Retrospective by Anna Maria Horner has arrived in stores. It is 16 piece collection featuring Anna Maria Horner's favorite floral prints in their best selling original form, and some with all new colors to inspire a fresh look for timeless art! 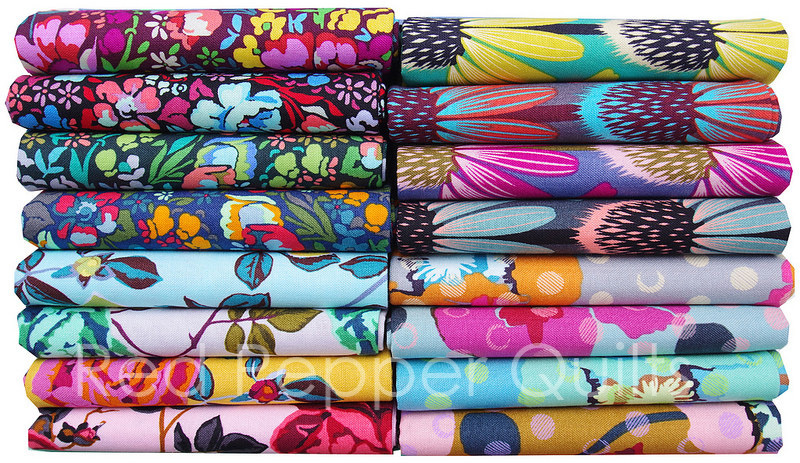 I Love Fabric Sale: Wonderland by Rifle Paper Co. ~ Save on Wonderland quilting cottons, rayon, lawn and canvas! 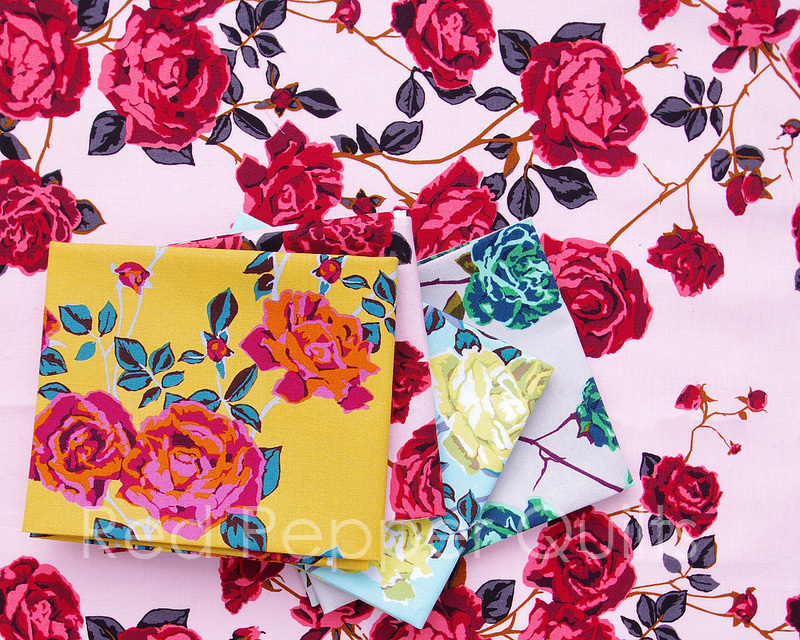 Fort Worth Fabric Studio Dear Heart by Studio E just $6.95/yard and just in: Sorbet Essentials by Quilting Treasures. 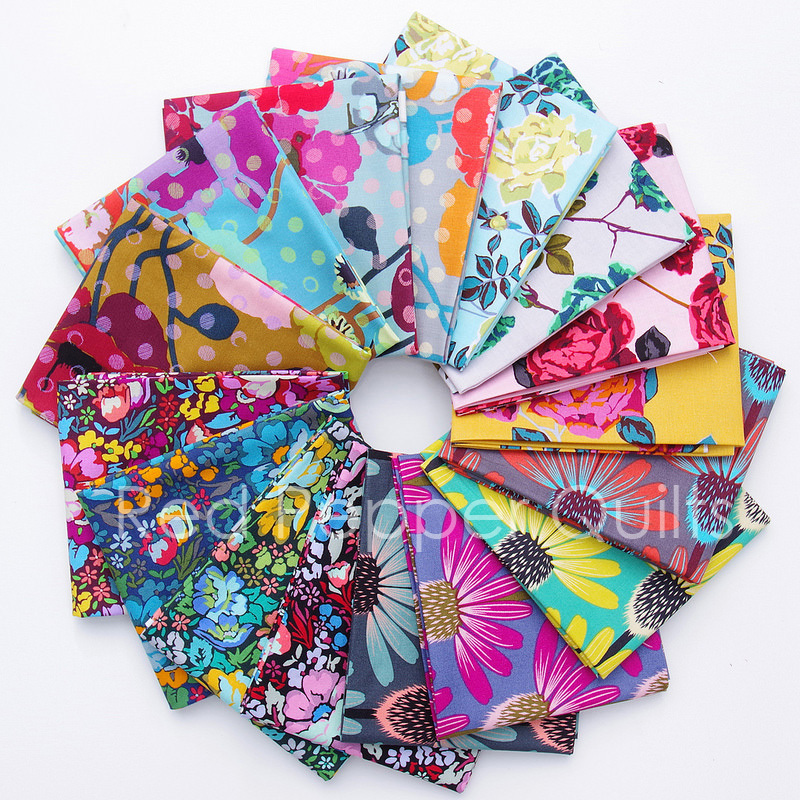 Lady Belle Fabric 40% off Clearance bundles. While stock lasts. I love Echinacea and Raindrop Poppies. 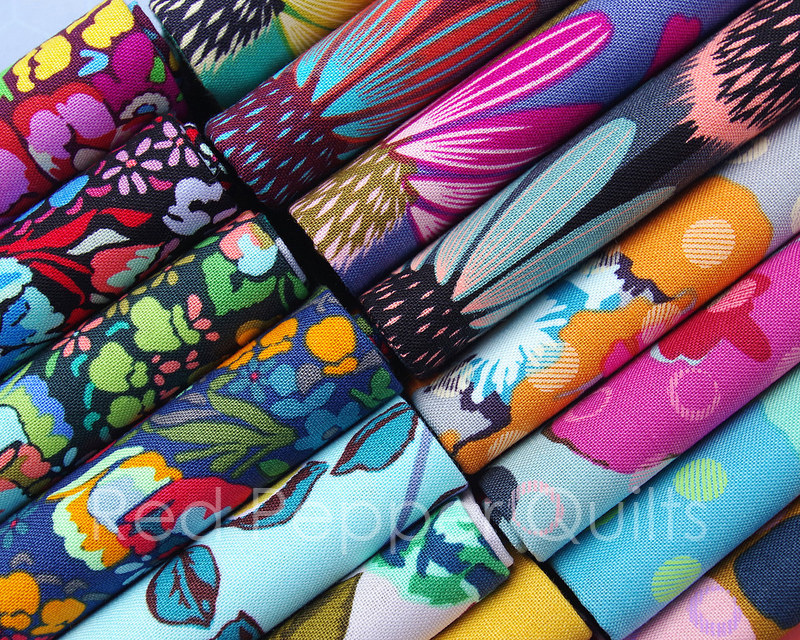 I always marvel at how beautiful AMH fabric ranges look together. gosh these are gorgeous. Rita!! Oh my! I am going to get all of this. A lot of fabric manufacturers are considering this. AGF and their fusions collections for example. I usually buy small prints because I use the large ones for fussy so I thing I don´t know how to use large ones. I`m looking forward how do yo play along with these beauties. 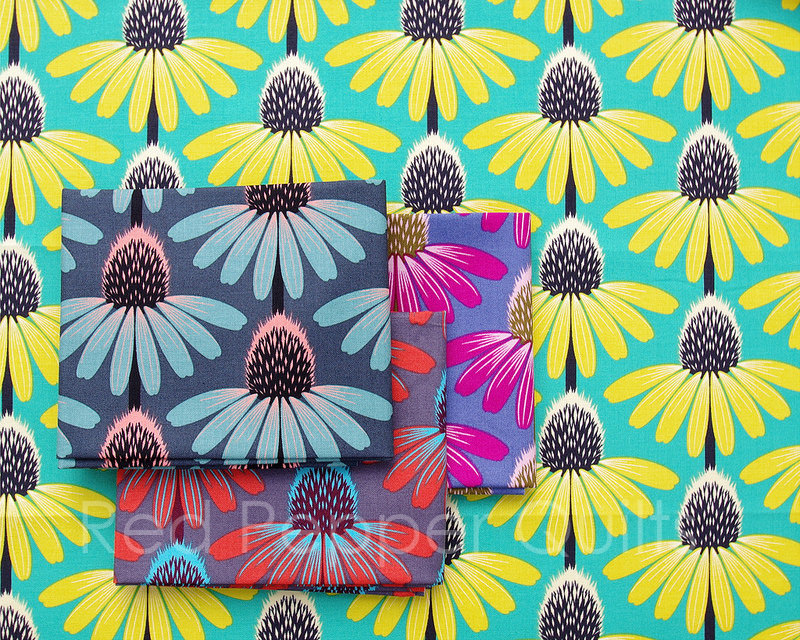 I love the Echinacea fabric. The flowers are my favourite- I was admiring some burnt orange ones today in a neighbour's garden. 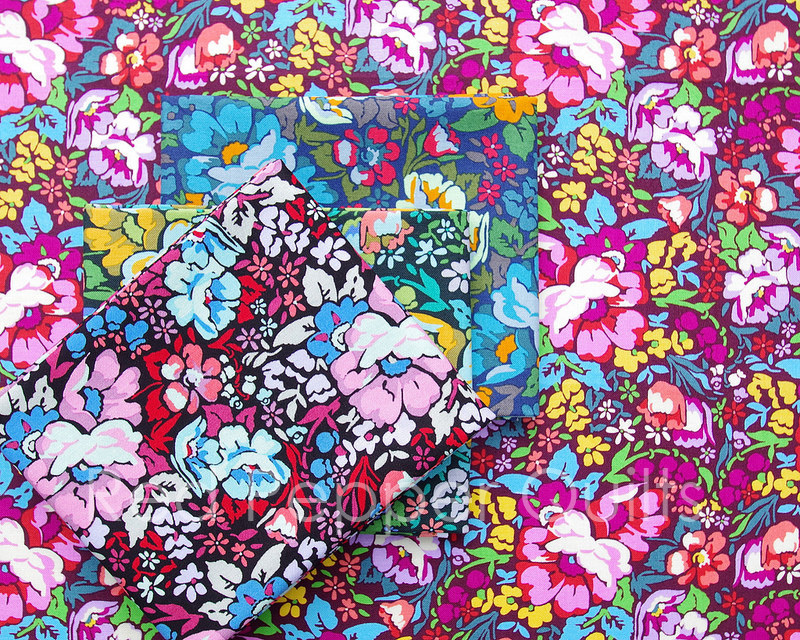 The colour choices in this fabric are delicious.